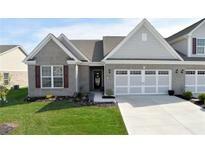 Below you can view all the homes for sale in the Grant Park At Prestwick subdivision located in Avon Indiana. 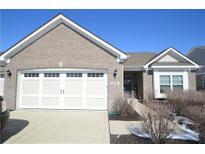 Listings in Grant Park At Prestwick are updated daily from data we receive from the Indianapolis multiple listing service. To learn more about any of these homes or to receive custom notifications when a new property is listed for sale in Grant Park At Prestwick, give us a call at 317-449-2964. The kitchen boasts granite countertops and beautiful flooring is throughout the home. MLS#21634878. CrestPoint Real Estate. 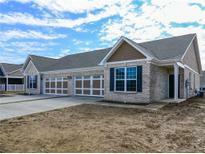 Maintenance free community with a pool! Just like new! MLS#21625518. Hoosier, REALTORS®. Community is convenient to shopping, dining, parks, interstates and much more! Schedule your showing today! MLS#21603817. HMS Real Estate, LLC. Don't let this one get away! MLS#21603725. HMS Real Estate, LLC. Grant Park is convenient to all Avon. MLS#21598224. HMS Real Estate, LLC. Near by shopping, dining and interstates make this a must see! MLS#21598213. HMS Real Estate, LLC. Convenient to all Avon has to offer including shopping, dining, parks and much more! MLS#21591482. HMS Real Estate, LLC.